Huisgen azide-alkyne cycloadditions are typically catalyzed by soluble copper salts. By immobilizing Cu on silica, a new catalyst was prepared which showed low leaching and good recyclability while retaining a high reactivity. 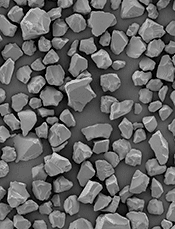 SiliaBond Amine can be used to immobilize Cu nanoparticles prepared by metal vapor synthesis. The resulting catalyst has been shown to be very active for both batch and continuous flow chemistry. The high productivity of the catalyst (up to 1689 mol/mol), its reusability and low metal leaching profile make it an attractive option for click chemistry applications. 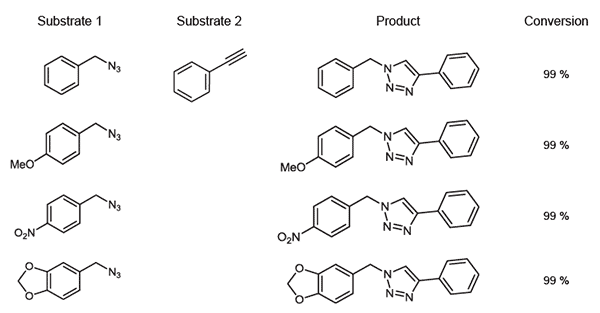 More over, its reaction scope was shown to be wide, opening the door to several 1,4-disubstituted-1,2,3-triazole scaffolds. 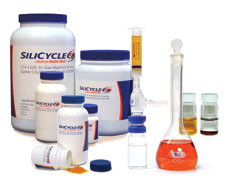 SiliCycle is the leader in the development of functionalized silica gels, gathered under the name SiliaBond, for use in organic synthesis. The backbone of all SiliaBond products is SiliCycle SiliaFlash F60 which provides superior performance for all types of applications due to the narrow particle size distribution and high purity.